This was a cute little cottage, but sadly did not suit us very well. The double bed was so hard, that is was physically painful to sleep on, so I slept in the single room. I didn't realise that both bathrooms would be on the ground floor, next to each other, which necessitated a trip down the steep stairs in the middle of the night, which was not ideal. Also, I didn't realise that the garden was detached, meaning that the dog had to be supervised when she was out there. 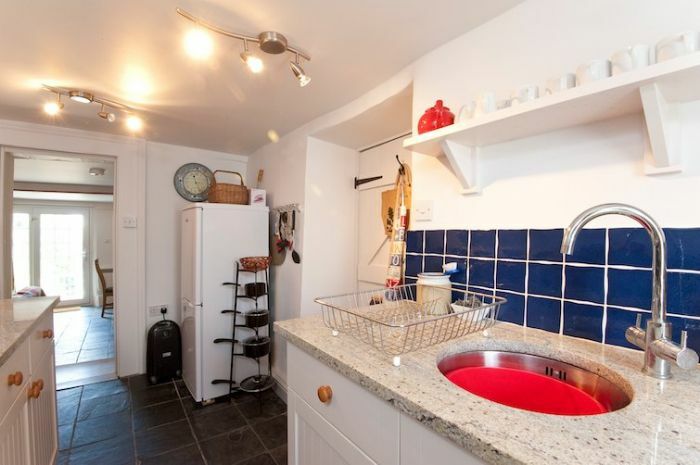 Had this been highlighted, I would have chosen a different cottage, same with the bathroom situation. A bit more clarity in the details would be helpful, as the cottage itself was good. Reply from Kate Crosby I am so sorry that you were disappointed with the cottage. We really value your opinion as it is so important to us that everyone loves Frogmore! We have never yet had anyone struggle with the bed, I guess matress preferences are so personal, I trust that atleast the second bed was snug. Whilst the location of the two bathrooms is I think indicated in the details I understand that you may not have spotted that they are both downstairs. 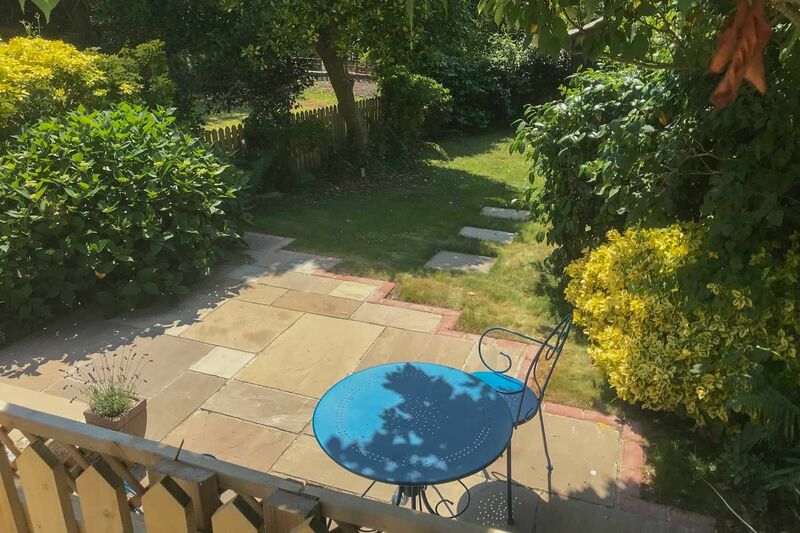 And as to the garden you are quite right and we have ammended the text to clarify that it is adjacent to the parking and as such on the opposite side of the little lane. Once again many apologies and happy new year. Great little place, good use of space. 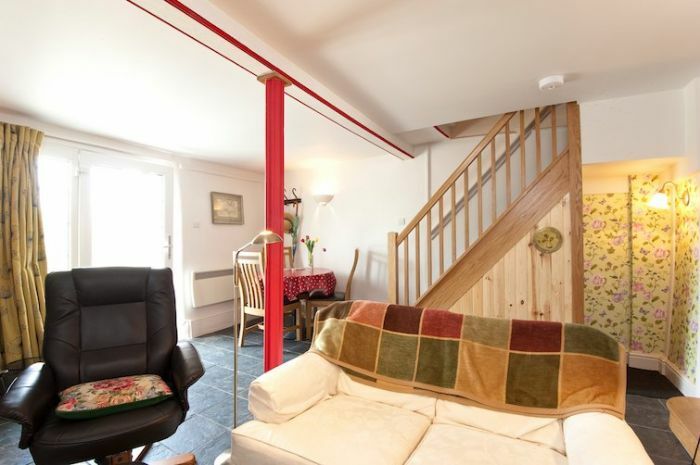 Ideal bolt hole for couple or small family. 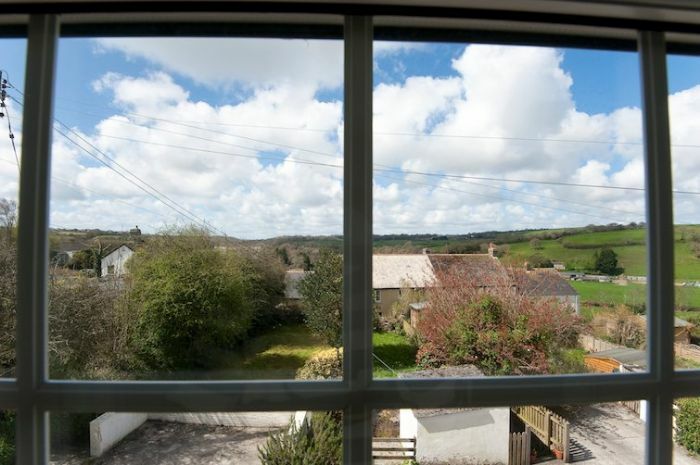 Tregony is ideal location if you have a car but bus service is just a few yards away. Recommend park and ride in Truro for city visit or day trips by train. We had a wonderful stay at Frogmore corner. It was a lovely accommodation with everything you need. Clean, comfortable, cosy and well equipped. A home from home. You would even be greeted and welcomed by the locals. We would definitely recommend Frogmore corner. We were very happy to be a little distance away from the hustle and bustle of the top tourist areas. This being said we were never too far away from the typical attractions and along with lovely walks we saw and experienced something new every day of our week long stay. If fact we did not want to go home there was still more to see and do. Thank you to everyone who made this stay such a pleasure. Great cottage. Nice friendly village.. Great base for touring around beautiful Cornwall. Highly recommend. 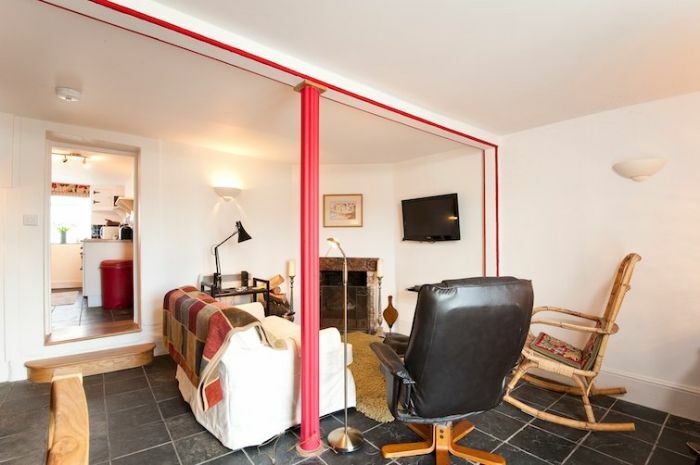 The house itself is well furnished with all mod cons plus a nice open fire if required. The steps leading Upto the front door are narrow making getting a good size suitcase difficult to get in . Parking is bad with no direct parking outside the house but if you don't arrive too late parking on the Main Street can be available. Strangely there is 2 downstairs toilets , one with shower and one with bath so if the loo is needed in the night it's a short walk downstairs ! 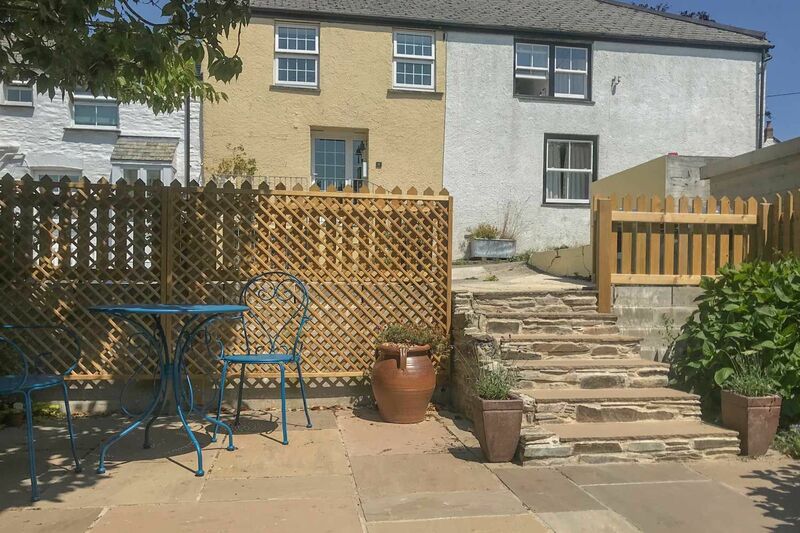 A cosy cottage,very comfortable beds with a well equipped kitchen.Every thing you need for a short break or a longer stay.c lose to major routes for the Eden project and gardens of heligan . We had a lovely week in Tregony and enjoyed the cottage. The local pub was lovely food was great. The kitchen had everything that you could need for cooking at the cottage. lovely quiet setting. scenery great. good walks. 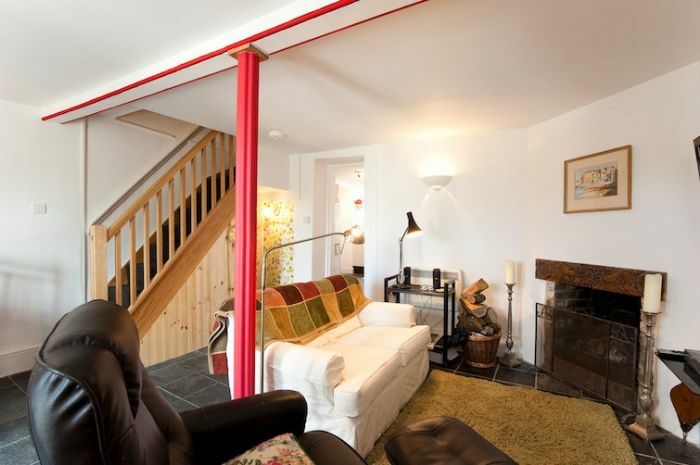 cottage cosy and comfortable.mind your head walking up stairs.had difficulty finding parking at times. Nothing more to add to the title. I don't have another 96 characters to add. We loved this cottage for it's charm and simplicity. It was very well appointed. 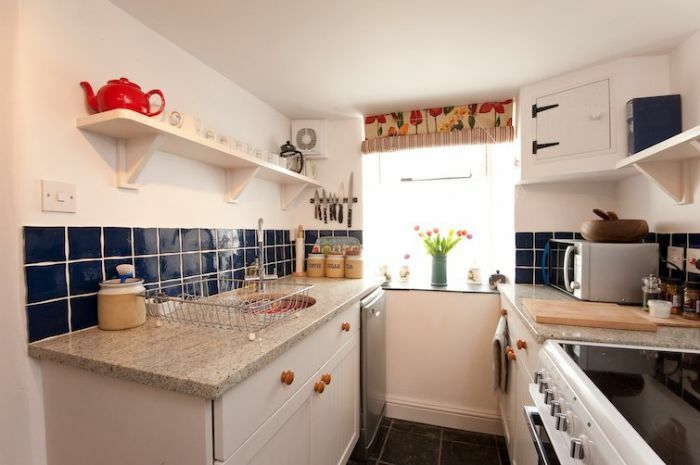 The cottage had been well renovated and equipped which made it a comfortable stay. The lack of parking was irritating since if sitting looking out or on the narrow terrace you were faced with the cars from neighbouring properties. The soundproofing from the adjoining property was not good and if the kitchen window was opened at certain times of day there were fumes from an oil boiler vented outside. 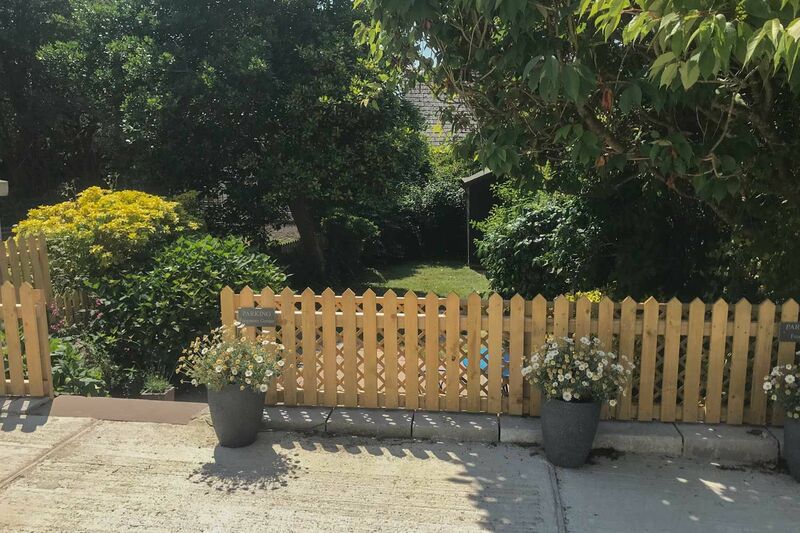 The cottage was ideally placed for visiting a great number of places within a 30 mile radius, it made the perfect base comfortable and well presented. The cottage had everything to make you enjoy your stay. The locals were very friendly and took time out to talk to you and let you know all the shortcuts and roads to avoid. It was ten years since our last visit to the Roseland and we both enjoyed our week of looking up all the places we used to visit when the children were young. It was our time, no kids, no rushing or finding entertainment and beaches. The cottage made our holiday and we will be back in the late summer next year. It would be fair to say that we also had wonderful weather but that was a bonus, Frogmore now has a special place in our memory. 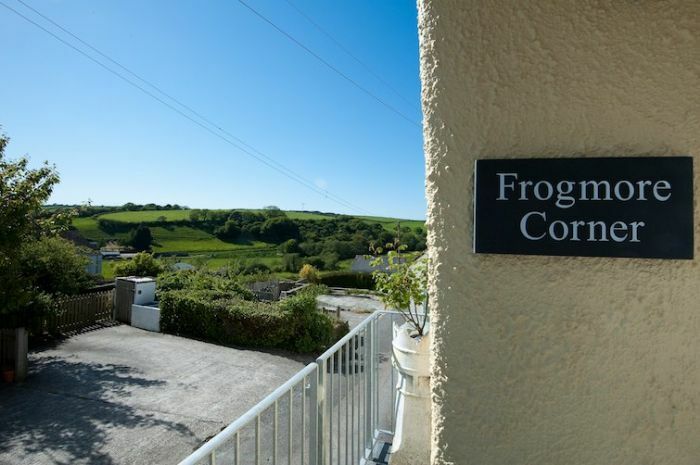 We thoroughly enjoyed our one week stay at Frogmore Corner. 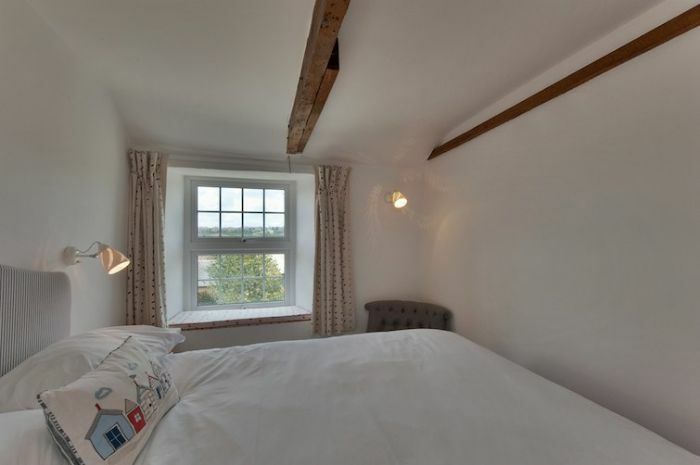 It is a charming, cosy cottage in a quiet relaxing location, and ideally placed for exploring many other wonderful areas and places of interest in Cornwall. 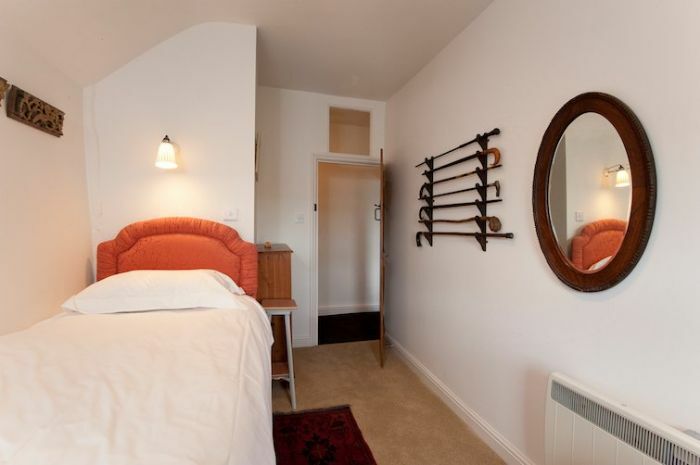 It has a well equipped kitchen and comfortable lounge/dining area, but please be aware, there are no wardrobes or cupboards in the bedrooms for hanging up clothes. That isn't a complaint, and there are hooks on the bedroom doors and a few coat hangers. We left most of our clothes in the suitcase and just took what we needed each day. 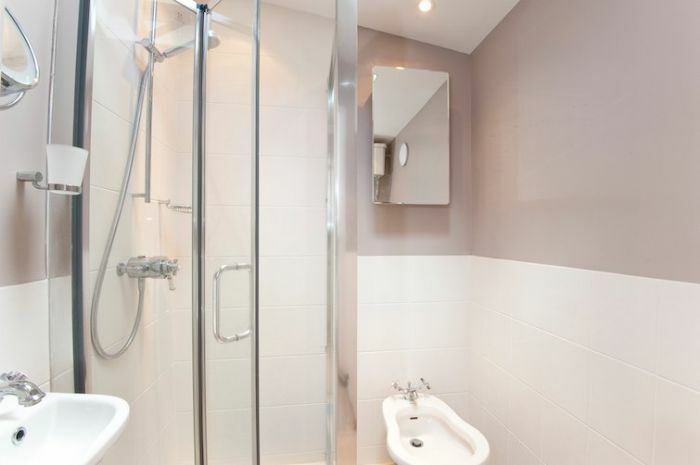 We also found it extremely useful having a shower room with a toilet, and a bathroom, also with a toilet. All in all, I would definitely recommend Frogmore Corner as a good all-round holiday cottage! 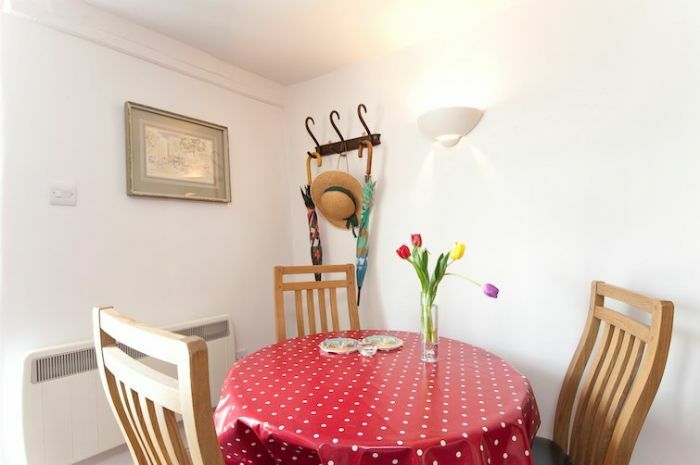 A lovely, comfortable and stylishly decorated property. Comfy sofa, hotel quality white cotton sheets and towels, fabulous hot and powerful shower (underfloor heating if needed in top quality bathrooms), fully equipped kitchen, good TV and wifi reception (but DVD player and/or laptop audio cable would be good), and lots of beautiful furnishings and paintings including some antique drawers and top quality curtains and matching window seats. It was like staying in a 5* boutique hotel. Great to sit out on the steps in the rocking chair in the late evening sun after a long day on the coast path. Quiet location and friendly neighbours. The cottage has lots of books, walking guides and maps. The owner and her daughter were very helpful during my stay. There are 4 parking spaces in the lane round the corner, usually I could find one, and if not there was always space on the main street within 2-3 mins walk. It was a bit dusty in places (lampshades, corners) but spotless on main surfaces. Tregony itself is perfectly located for coastal walking as you can reach everywhere on the coast path from St Mawes to St Austell within 10-30 minutes drive. There is a fabulous farm shop (Humfreys) nearby for meat, veg, fruit, bakery goods, dairy etc - I heartily recommend their steak pies, pasties and cakes! Perfect location - a gateway into a part of Cornwall we were unfamiliar with. Helpful owner, good to speak on the phone on booking. 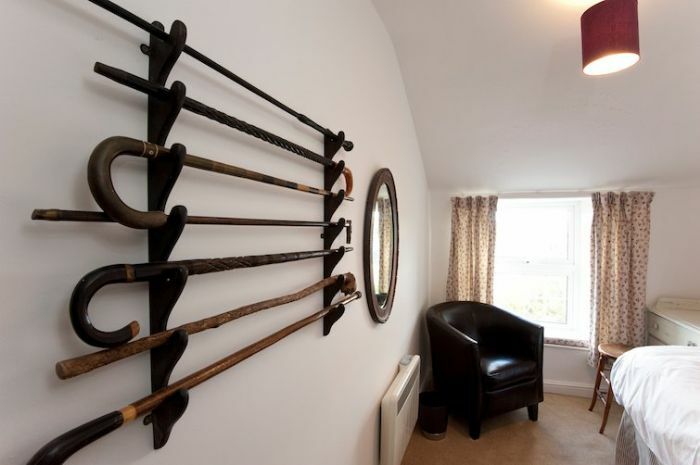 Recently renovated, thoughtfully and tastefully done. Nice little 'personal' touches made this very much a home from home experience. 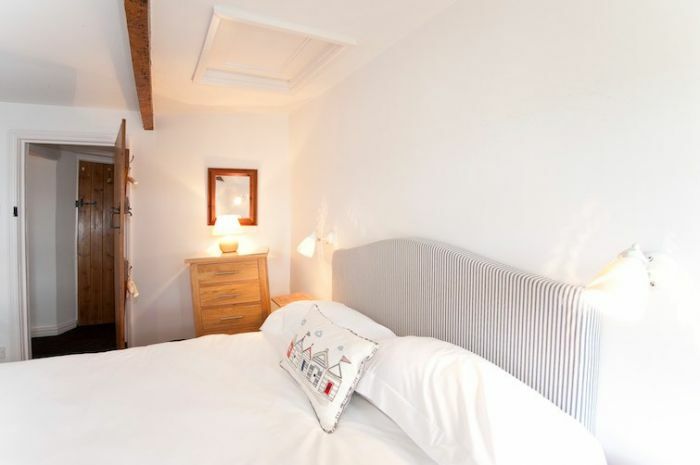 Comfortable bedrooms, cosy. Welcoming to dogs. We thoroughly enjoyed our stay here. Our only regret??? - We only had 1 week here, not 2! Well done! 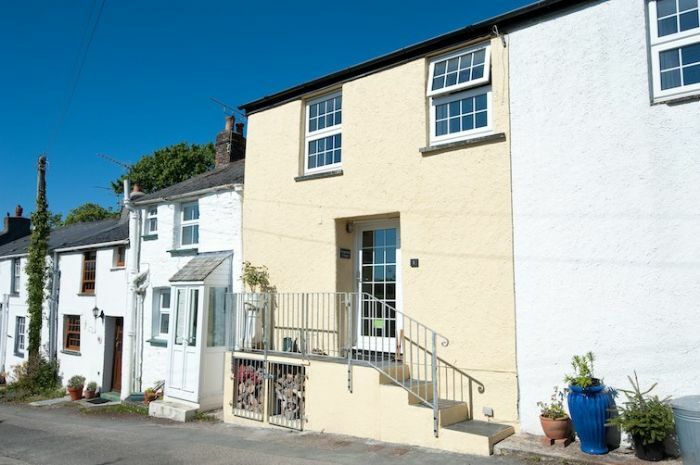 Many thanks for the use of your cottage in Tregony. We had a superb time, the accommodation was to the highest standard which you should be proud of, everything was just right. The locals in Tregony were very friendly. Many thanks, will be using you again. Everything is better than expected and spotlessly clean. I am already recommending Frogmore Corner to friends. 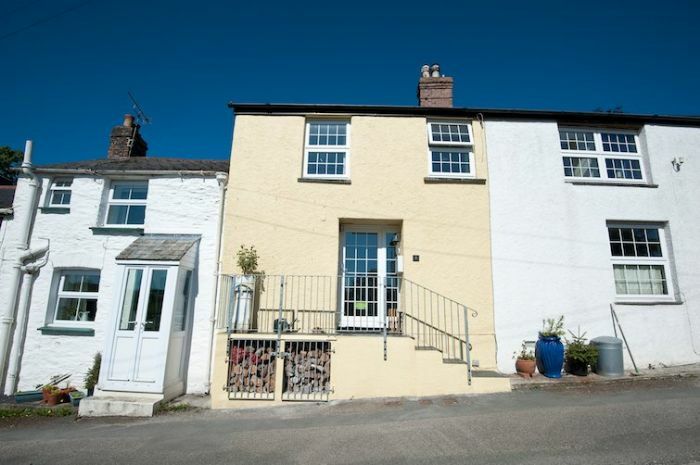 This lovely cottage was once part of an old dairy and dates back to the late 17th Century. 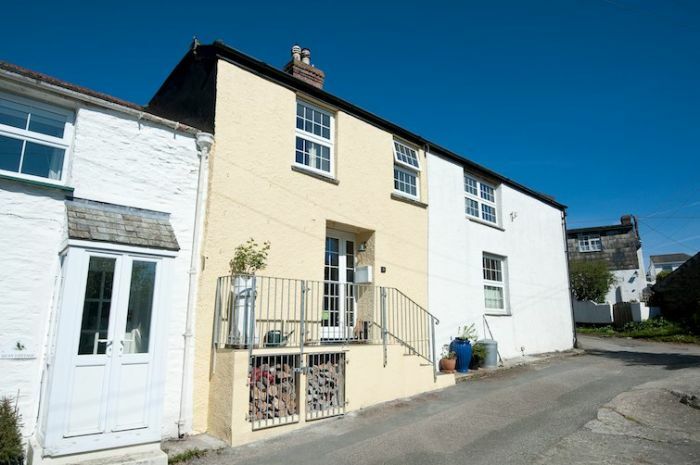 It is tucked away on a back lane and has been recently sympathetically refurbished by the new Owner. There is a smart black slate floor throughout downstairs. 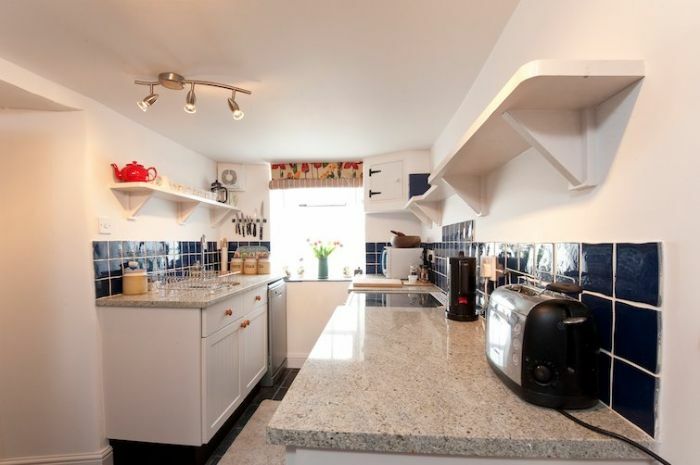 The newly fitted kitchen with granite worktops is fully equipped; the bathroom and separate shower room, both with underfloor heating, are new and completely up to date. 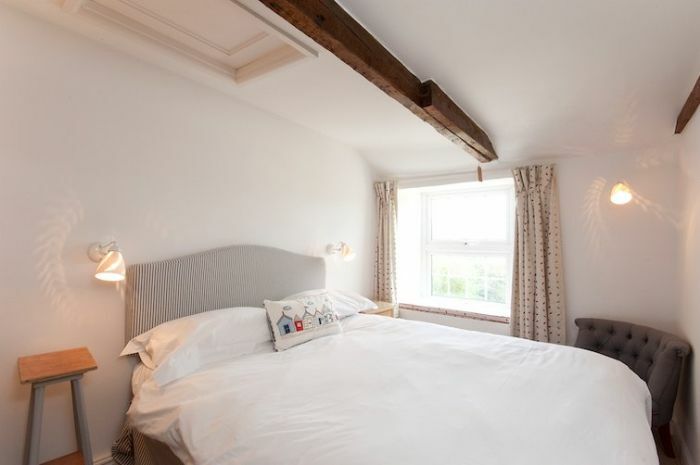 Whilst very cosy and comfortable the property still retains all its original character. 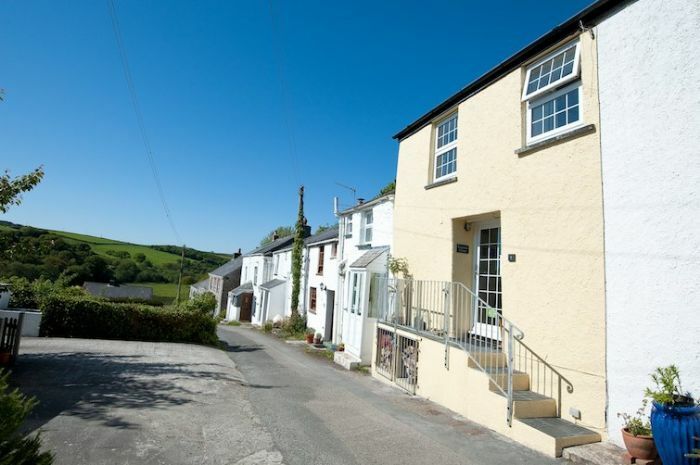 Tregony is the perfect base for those looking to explore the stunning Roseland Peninsula and the coastal villages towards Mevagissey and Pentewan. St Mawes, Portscatho, Veryan and Portloe are all within a short drive. And some of the quieter spots such as Gorran Haven, Portholland and the stunning beaches at Hemmick are also within easy reach. The Lost Gardens of Heligan are not to be missed. 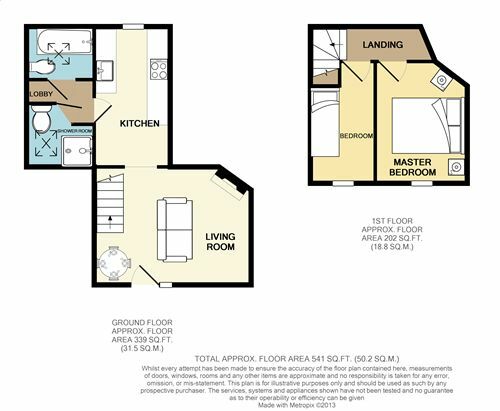 Ground Floor: Open plan lounge / dining area and fully fitted kitchen with a utility area. 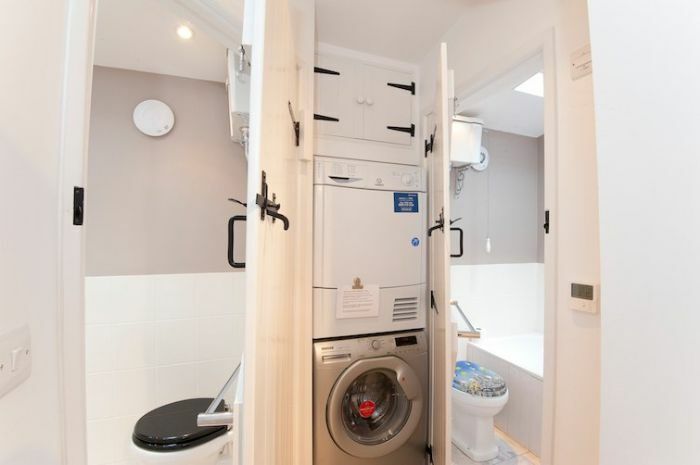 A family bathroom & WC followed by a shower room & WC. 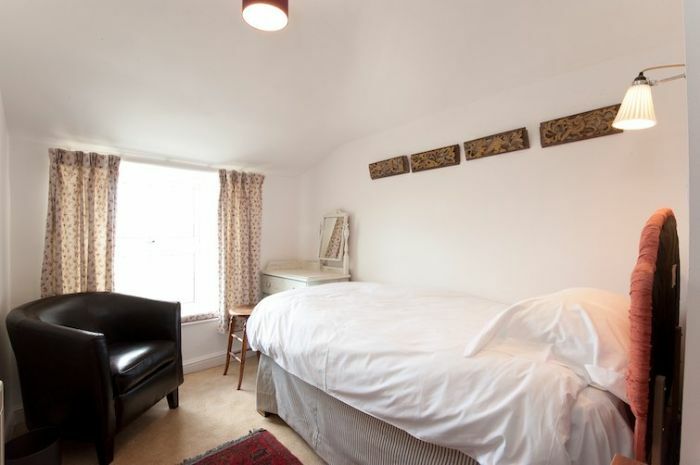 First Floor: Master double bedroom followed by a single room. 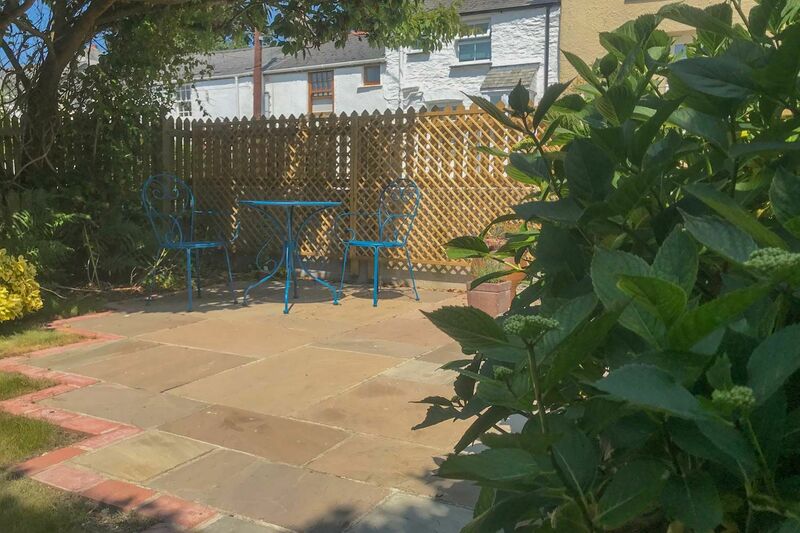 Exterior: There is a pretty garden adjacent to parking area on the other side of the little lane with a paved seating area and lawn, bordered by well established shrubs. A perfect sunny, sheltered spot in which to enjoy the end of the day, or indeed breakfast. Generous private parking is opposite the front door. 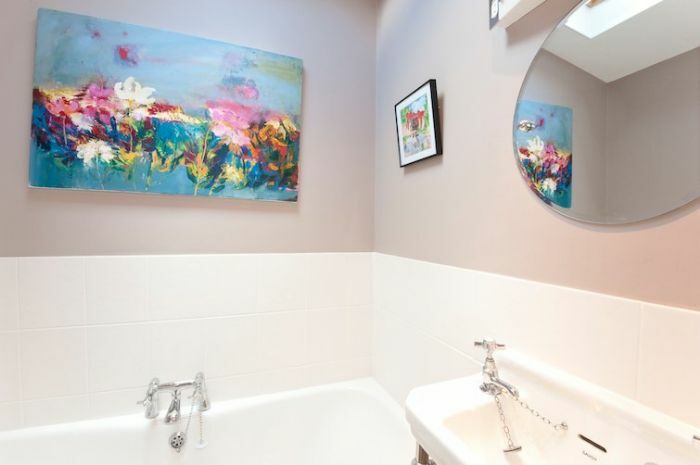 Heating is via wall electric heaters and an open fire; there is underfloor heating in the bath & shower room. 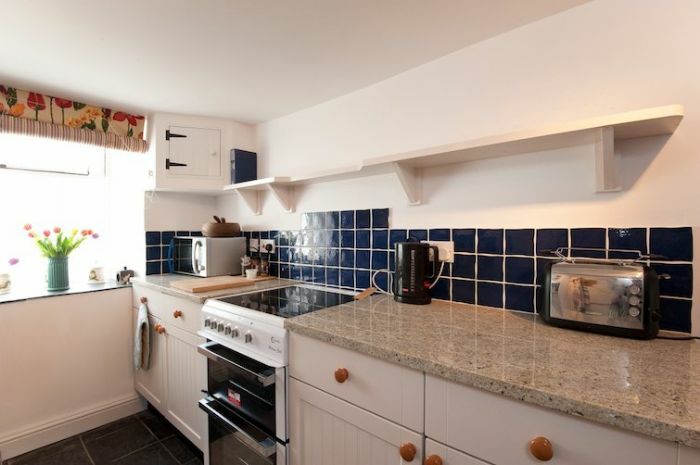 The kitchen is fully equipped with an electric oven & hob, kettle, toaster, fridge / freezer, microwave, dishwasher, washing machine & tumble drier. 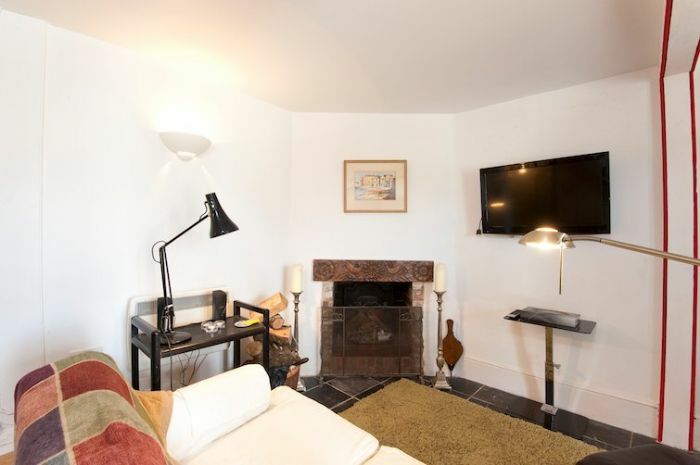 The living area has a flatscreen digital Freeview TV and DVD player. WiFi is available at the property. There is an iron and ironing board. 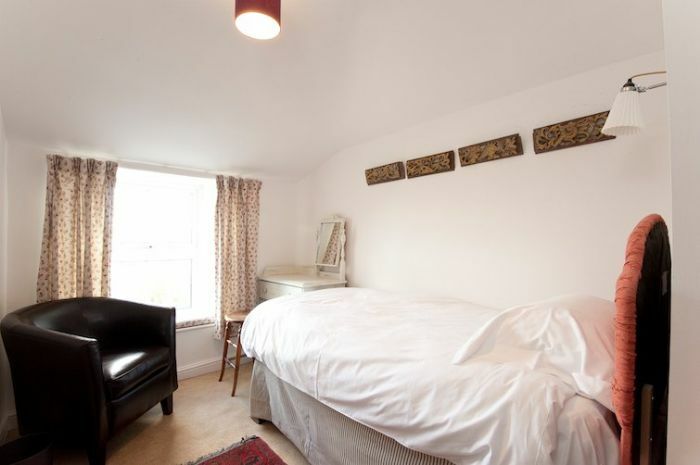 Electricity, heating, bed linen & towels are all included. There is on street parking available nearby. Up to 2 well behaved dogs will be permitted at a small additional cost of £25 per dog / per week, although please remember that you cannot leave dogs unattended in the cottage alone. Regrettably no smoking is allowed. The village of Tregony in Cornwall is often referred to as the 'gateway to the Roseland'. The exceptionally wide Fore Street is a relic from the days when this was a busy port and market town with considerable traffic. The port has long since silted up due in part to china clay workings up stream, but Tregony has retained its charm. Tregony has an unusual clock tower on Fore Street and the seventeenth century almshouses which boast an unusual wooden gallery. The site of a twelfth century Norman castle known as ‘Treg-ney’ from which the village got its name is situated on Tregony Hill. The woods and riverside in the area between here and Ruan Lanihorne are fantastic to explore. The river is a firm favourite with ornithologists and the magical Lamorran Woods are alive with bluebells in the spring. The Lost Gardens of Heligan, the Eden Project and the city of Truro are only a short drive away from Tregony.